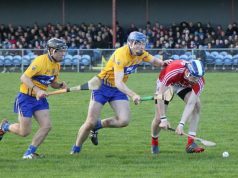 Cork have ended Clare’s reign as Munster Senior Hurling League champions with a four point victory at a windy Sixmilebridge. 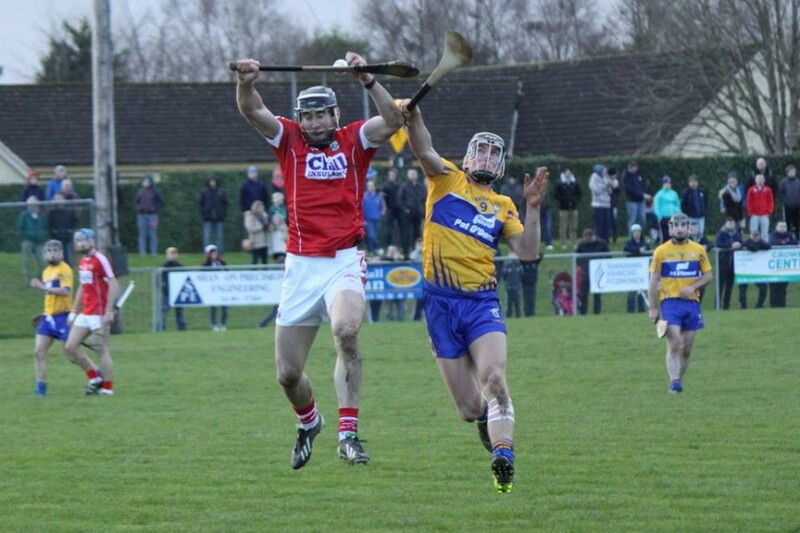 Kieran Kingston’s Cork maintained their one hundred percent winning run in 2017 as they set up a date with Limerick in the final of the Munster Senior Hurling League at the expense of Clare. 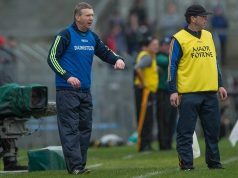 So far the record of Donal Moloney and Gerry O’Connor as Joint managers of the senior hurlers reads two wins and two losses. 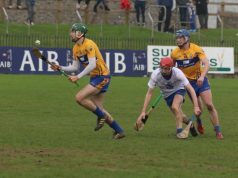 This defeat came minus several key members of their panel such as the Ballyea contingent and they were forced to field players that were in Fitzgibbon Cup action on Tuesday. 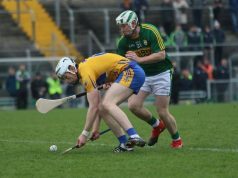 In what was a scrappy contest affected by the strong gale in Sixmilebridge, the visitors were the better team on show with their touch and movement of the ball a step above their Clare counterparts. 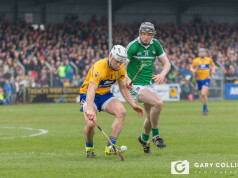 This will need to improve for their rematch in the Allianz National Hurling League on February 11th but the fact that Clare kept a clean sheet having conceded soft goals in recent games is a plus. With the wind at their backs, Clare took an early lead but by the nineteenth minute Cork were in front by a single point. 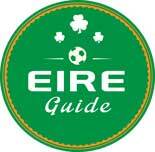 White flags from Cathal Tots O’Connell, Bobby Duggan and Aaron Cunningham left the hosts ahead 0-09 0-08 at half-time. 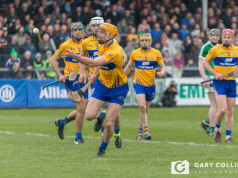 On the resumption Clare hit the first two scores but in a seven minute spell Cork added five points to take control on the sixty second minute. 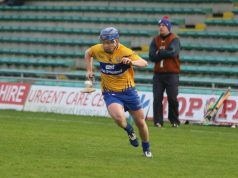 A late 21m free gave the men in Saffron and Blue an opportunity to bridge the gap but Bobby Duggan’s effort was saved on the line as the Rebel County secured the victory. 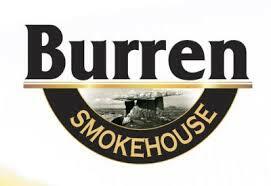 Cork: Declan Dalton (Fr O’Neill’s) (0-02 2f), Jack Sheehan (Erin’s Own), David Griffin (Carrigaline), Conor O’Sullivan (Sarsfields); Killian Burke (Midleton), Christopher Joyce (Na Piarsaigh), Cormac Murphy (Mallow) (0-01); Mark Ellis (Millstreet), Paul Haughney (Midleton); Shane O’Keeffe (Blackrock) (0-02), Conor Lehane (Midleton) (0-08 4f), Dean Brosnan (Glen Rovers) (0-01); Luke Meade (Newcestown), Michael O’Halloran (Blackrock) (0-01), Daniel Kearney (Sarsfields) (0-03). Subs: Stephen McDonnell (Glen Rovers) for Meade (33, inj), Tim O’Mahoney (Newtownshandrum) (0-01) for Haughney (53), Darren O’Driscoll (Carrigtwohill) for O’Halloran (55). Clare: Andrew Fahey (Whitegate), Jason McCarthy (Inagh-Kilnamona), Cian Dillon (Crusheen), Seadna Morey (Sixmilebridge) (0-01); Jamie Shanahan (Sixmilebridge), Conor Ryan (Cratloe), Brendan Bugler (Whitegate); Shane Golden (Sixmilebridge) (0-02), Colm Galvin (Clonlara); Aaron Cunningham (Wolfe Tones) (0-02), Cathal Malone (Sixmilebridge), Peter Duggan (Clooney-Quin), Bobby Duggan (Clarecastle) (0-04 3f), Aron Shanagher (Wolfe Tones), Cathal O’Connell (Clonlara) (0-06 5f). Eoin Quirke (Whitegate) for Galvin (HT), David Fitzgerald (Inagh-Kilnamona) for Ryan (HT), David Reidy (Éire Óg) for P. Duggan (HT), Conor O’Donnell (Crusheen) for O’Connell (46), Ben O’Gorman (Wolfe Tones) for Shanahan (52).